State Route 1 is a major north-south state highway that runs along most of the Pacific coastline of the U.S. state of California. 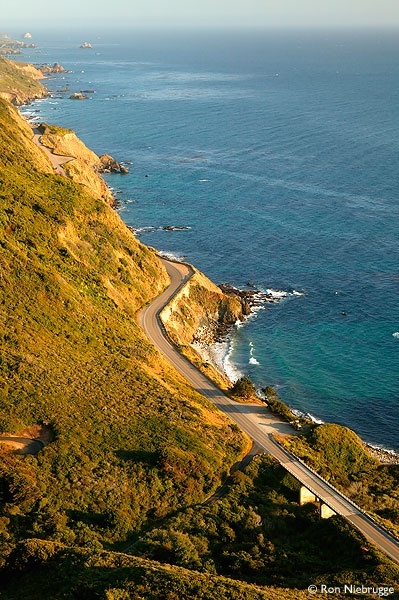 Highway 1 has several portions designated as either Pacific Coast Highway,Cabrillo Highway, Shoreline Highway, or Coast Highway. Its southern terminus is at Interstate 5 near Dana Point in Orange County and its northern terminus is at U.S. Highway 101 near Leggett in Mendocino County. Highway 1 also at times runs concurrently with US 101,most notably through a 54-mile stretch in Ventura and Santa Barbara Counties, and across the Golden Gate Bridge.